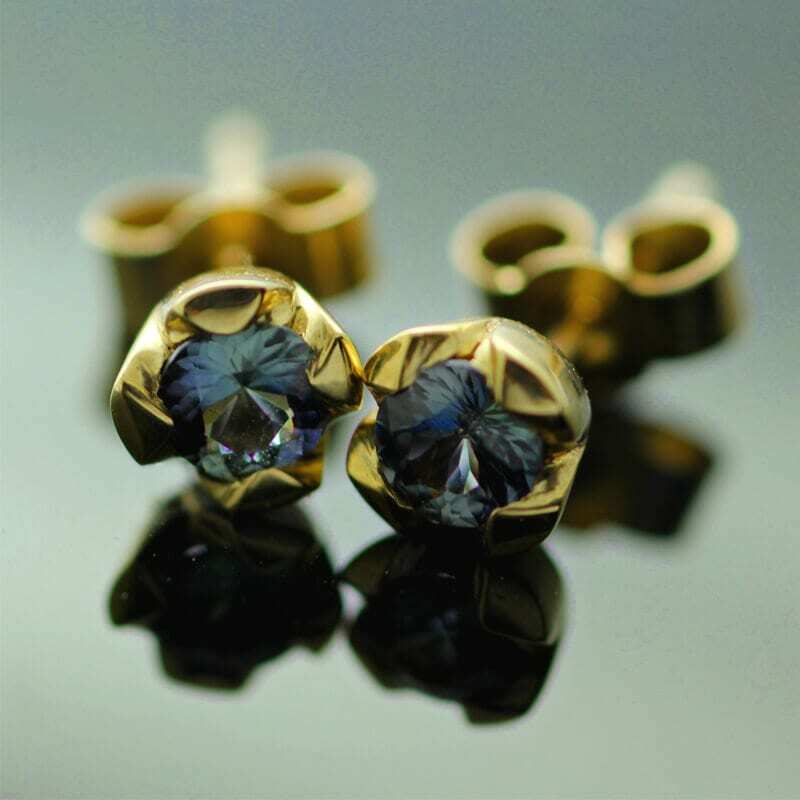 This glorious earring design showcases a breathtaking pair of colour change Sapphire gemstones, expertly crafted by Julian Stephens from precious materials to create an opulent, elegant pair of modern stud earrings. The pair of Round Brilliant Sapphire gemstones offer a beautiful example of a colour change Sapphire with glorious variation to the tone of this lovely gemstone, from a deep midnight to a teal, petrol hue. 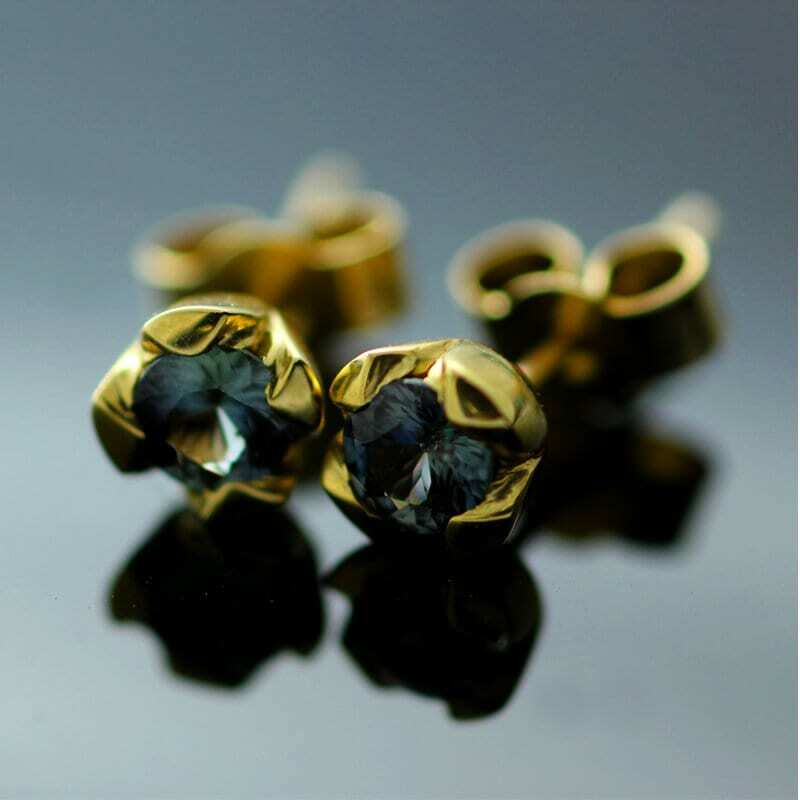 This colour change is most evident in natural light and when the stones move, making them a perfect choice for earrings that sparkle, shine and dazzle. 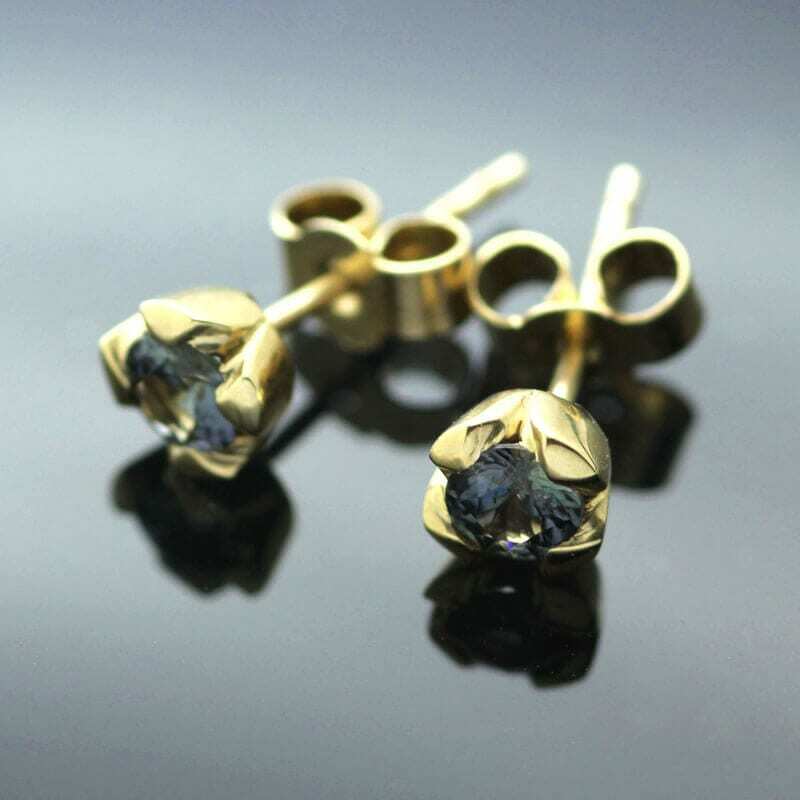 These beautiful gemstones are set in a solid 18ct Yellow Gold sleek modern setting to create the stud earrings, the setting is inspired by Julian Stephens ‘Flower’ Collection which takes inspiration from nature to create a contemporary and minimal claw setting. The lustrous, buttery Yellow Gold is hand finished with a high shine polish to the for a glossy finish to the design.